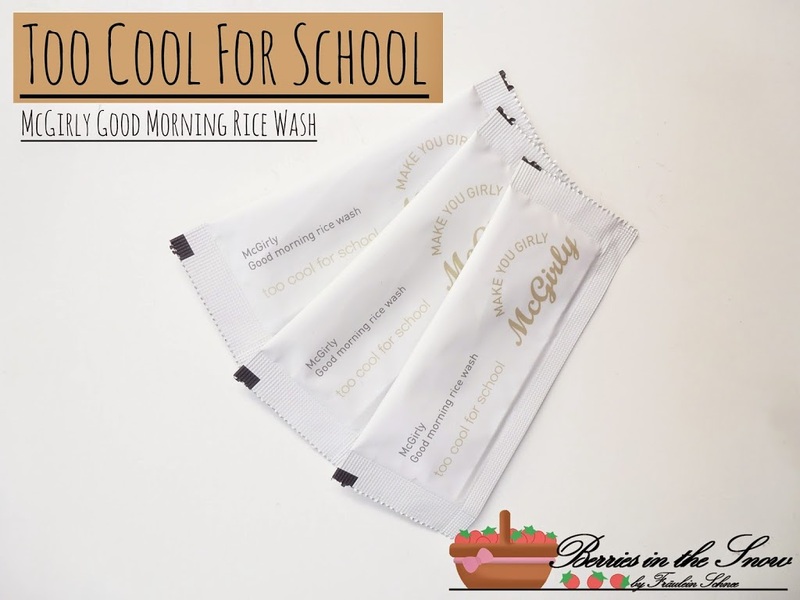 It really took me long to write up a review on Too Cool For School’s McGirly Good Morning Rice Wash. First of all, it took me ages to start using it after I bought it. Then I finally did use it, took some pictures, but since then it remained unnoticed in my folder with the unreviewed photos. Honestly speaking, I was a bit underwhelmed by this powder wash. 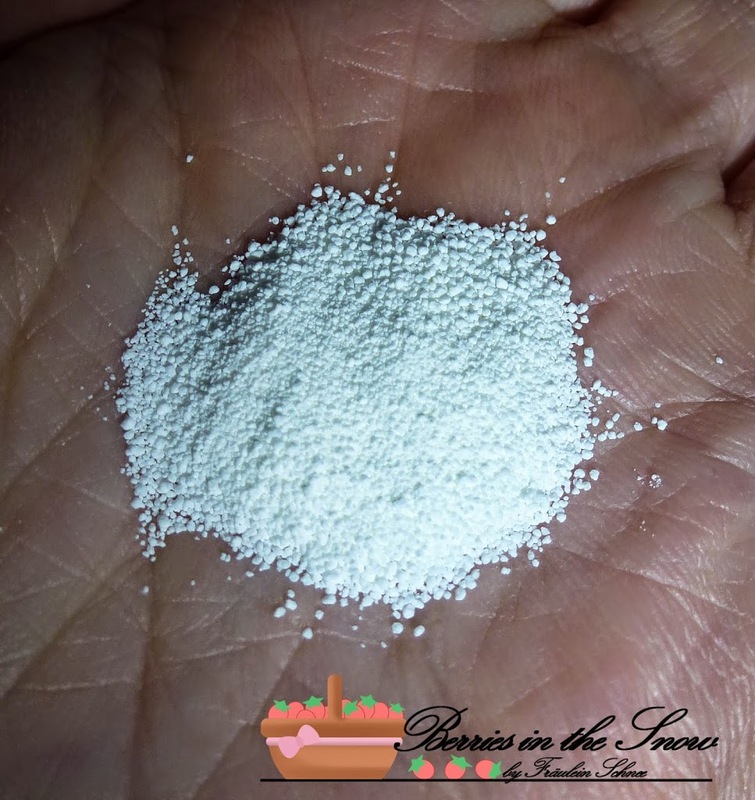 It is not a real cleanser, and I would not recommend to try to clean makeup with it. I think this is nice for people with sensitive skin. If you have cleaned your face in the evening thoroughly, you could go for this face wash in the morning. It is mild, smells nice and feels refreshing. But other than that it does not really work for me. It is too complicated to use in the morning. Also, I don’t think that this will brighten up your skin tone anyway. On the other hand, if you are a person having a lot of time in the morning you might enjoy this step and look at it as a kind of pre-toning your skin. 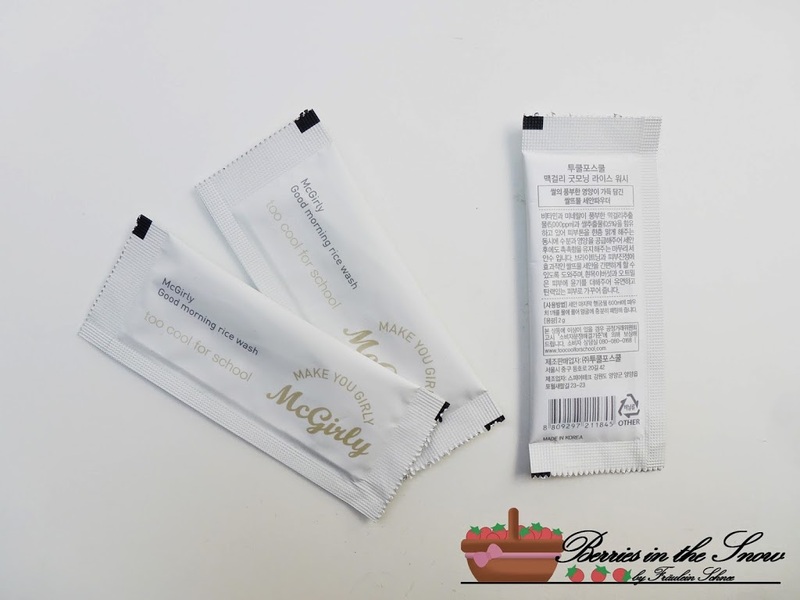 You can buy 3 sachets at testerkorea.com for 1500 Won (around 1.5 US$). It is not that expensive if you wanna give it a try. The shipping costs depend on weight. It sounds like something that would be really indulgent on those days when you have time to pamper yourself. Sadly, I rarely seem to have those days. Looks interesting, many thanks for your review sweetie but after read your product maybe is a waste innecesary of money. Does this normally comes in sachets or it’s sample size? It looks very gentle, I’d give it a try. It also comes in these sachets in fullsize. I think you can choose how many sachets you want to buy, but at testerkorera they only offered the 3 pieces as one set. Thanks for readind ! This product looks interesting but it takes soo long to just cleanse your face because you have to prepare everything >w< I think this product wouldn’t be something for me since the cleansing isn’t deep either xD But still thanks for this review, I actually never heard of this product before too haha. I wouldn’t work for me in the morning also. I seems to take more time than using a foam cleanser. Looks interesting, but I’m one of those people who don’t have time in the morning.